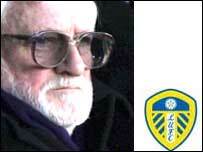 Ken Bates' proposed buyback of Leeds United is to be challenged by HM Revenue & Customs. The announcement comes a day after the news that the administrators at the football club had persuaded Mr Bates to raise his offer to creditors. A Leeds United spokesman said it did not yet have all the details but it was "confident of a positive outcome". Leeds went into administration on 4 May, before Mr Bates narrowly won backing to buy it back on 4 June. While Mr Bates, the club's chairman, was able to get the backing of creditors to buy back the club, it seems HM Revenue & Customs, which is owed £7.7m in unpaid taxes, was far from happy. Its challenge to the plan was made just before a 1600 BST deadline. "The club can confirm that the Inland Revenue have served notice of their intentions to challenge the CVA [Creditors' Voluntary Agreement]," said a Leeds United spokesman. "We do not have all the details as yet and do have a number of options available to us. "We remain confident of a positive outcome, despite this disappointing news, and will carry on with business as usual in the meantime." Monday's announcement that Leeds was increasing the amount of money it was offering creditors from 1p in the £1 to 8p has been seen by commentators as a failed move to try to persuade HM Revenue & Customs not to call in the lawyers. With its debts of £35m, Mr Bates has previously claimed that any legal challenge by HM Revenue & Customs could force the club into liquidation. Earlier on Tuesday, he told Yorkshire Radio: "If there is a legal challenge, it could take two or three months to get to court and be decided. "In the meantime, who is going to pay to run the club?" Leeds United's administrators at accountancy giant KPMG have insisted throughout that they have acted within the laws of insolvency.